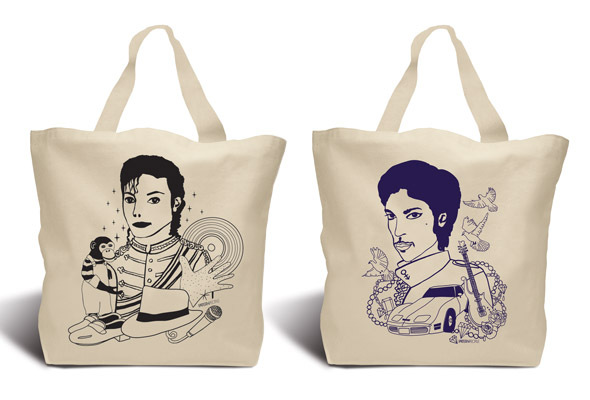 We’ve created a limited edition collection of tribute bags featuring the kings of fashion and music. 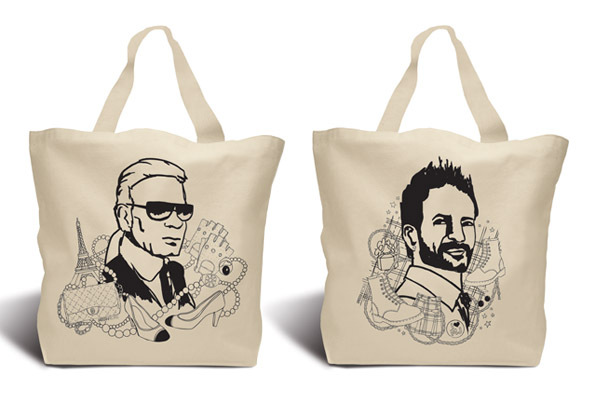 These custom illustrations show fashion icons, Karl Lagerfeld and Marc Jacobs, nestled in a sea of their signature items – from Chanel shoes and pearls to 90’s grunge inspired plaid and boots. Likewise, the drawings of Michael Jackson and Prince are situated among a few of their musical motifs from dancing shoes and the sparkly glove to doves and a little Corvette.